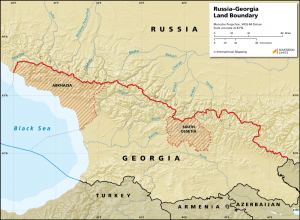 The 925 km Georgia–Russia land boundary was first delimited in broad descriptive terms in 1920, shortly before the incorporation of Georgia into the Union of Soviet Socialist Republics (USSR). 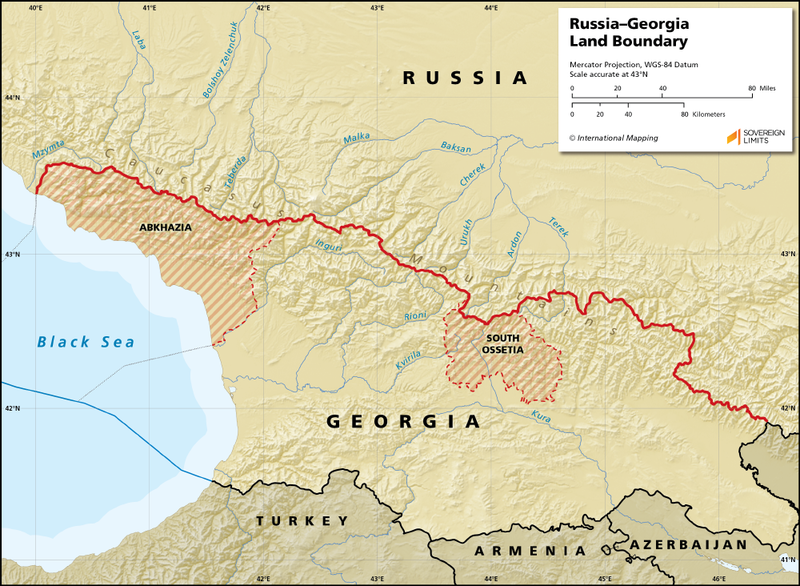 A more detailed definition of the boundary was negotiated following the breakup of the Soviet Union, but full agreement has been hampered by Russia’s support for the secession from Georgia of Abkhazia and South Ossetia, which led to a brief war between Georgia and Russia in August 2008. The northern limits of the two breakaway republics make up more than a third of the internationally recognized Georgia–Russia boundary.